Michael Annett picked up the 2nd last-place finish of his NASCAR XFINITY Series career in Saturday’s DC Solar 300 at the Las Vegas Motor Speedway when his #5 Allstate Parts & Service Group Chevrolet was involved in a single-car accident after he completed 5 of 200 laps. The finish, which occurred in Annett’s 222nd series start, was his first since April 25, 2010 at Talladega, 285 races ago. In the XFINITY Series last-place rankings, it was the 9th for car #5, the 320th from a crash, and the 512th for Chevrolet. Across NASCAR’s top three series, it was the 32nd for the #5, the 1,163rd from a crash, and the 1,626th for Chevrolet. In his second full XFINITY Series season since he returned to the division with JR Motorsports, Annett arrived in Las Vegas in a do-or-die situation. Following a vibration that eliminated him at Indianapolis, Annett had to win Vegas’ regular season finale to advance into the Playoffs. 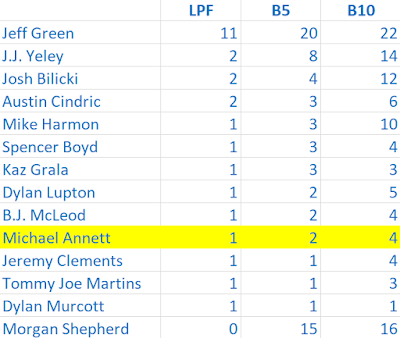 Throughout the 2018 season, Annett had failed to finish four times and led just nine laps. 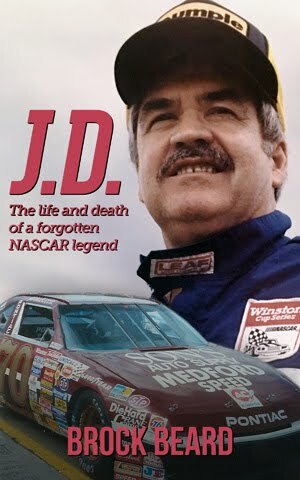 He’d also earned just two top-ten finishes, but each had come in the previous four races with a season-best 7th at Bristol and a 10th at Darlington. He arrived in Las Vegas, where he ran 13th in the spring, running a black-and-white Chevrolet with returning sponsor Allstate Parts & Service Group, which not only backed his XFINITY efforts but also his brief Cup Series ride with the now-shuttered HScott Motorsports. Annett was one of 39 drivers on the preliminary entry list, a field which grew to a full complement of 40 after Motorsports Business Management entered a fourth car, the #72 CrashClaimsR.Us / James Carter Attorney Toyota with Scottish driver John Jackson behind the wheel. Of those 40 cars, Annett ran 19th in the opening practice and 13th in the second. He then improved steadily through qualifying, timing in 18th in Round 1, 11th in Round 2, and made it to 9th in Round 3 with a lap of 175.103mph (30.839 seconds). 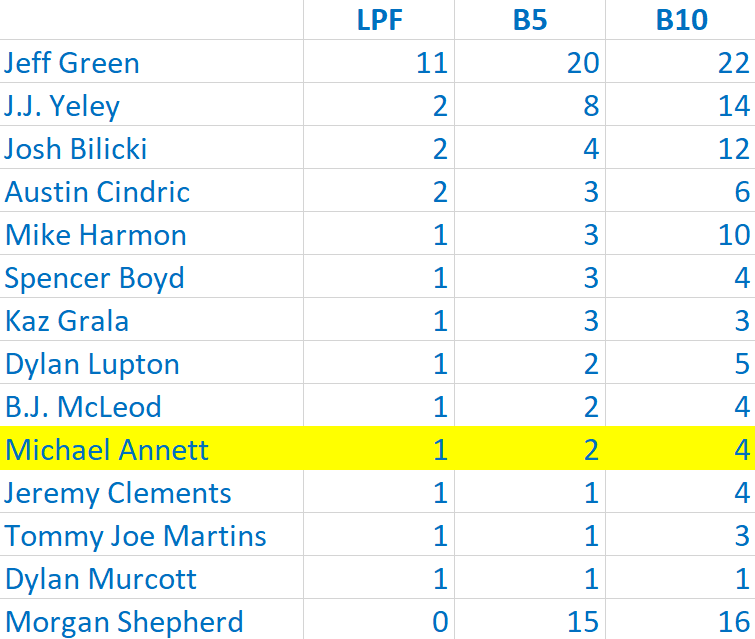 It was Annett’s best qualifying performance since Talladega, where he rolled off 5th. Starting last was another MBM entry, the #13 OCR Gaz Bar Toyota. Driving the #13 was Stan Mullis, who was back on the XFINITY tour since running both Iowa races earlier this summer. Mullis was one of seven drivers who didn’t turn a lap in Round 1, all of them relying on Owner Points to fill out the field. Inspection problems plagued Ryan Preece (#18 Rheem Toyota), Daniel Hemric (#21 South Point Hotel & Casino Chevrolet), Brandon Jones (#19 Menards Mastercraft Doors Toyota), Matt Tifft (#2 KCMG Chevrolet) and Ryan Truex (#11 LeafFilter Gutter Protection Chevrolet). Those five started 34th through 38th with 39th going to Garrett Smithley, sent to a backup car in the #0 FAME-USA.com Chevrolet. Smithley slammed the wall entering Turn 3 in practice, and needed a moment to catch his breath after climbing out. Of the drivers starting in the rear for inspection issues, Matt Tifft incurred the heaviest penalty. Just like Brandon Jones at Darlington, Tifft’s #2 failed inspection four times, meaning the car would have to make a pass-through penalty at the start of the race. Tifft did not fall to the tail end of the grid for the start, but this proved moot when he was posted at the green flag and pulled down pit road on the first lap. 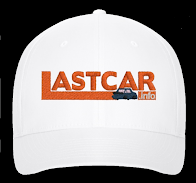 One lap down, Tifft came out among the leaders and was tracking down race leader Cole Custer when, just like Jones at Darlington, the caution he needed came out. On Lap 5, Michael Annett was in a tight battle for position on the inside of a three-wide battle with Ryan Preece to his right and the #39 Big Valley Towing Chevrolet of Ryan Sieg. 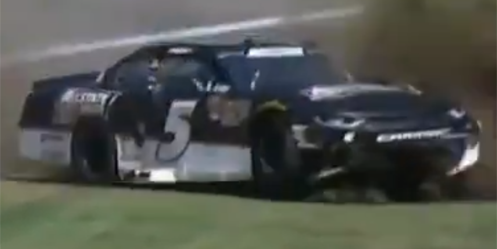 Coming through the fourth corner, Annett broke loose and slid into Preece. The two locked doors, and Preece turned to the left, sending Annett sideway into the grass. Once the car turned toward the infield, the splitter dug in, destroying the nose of Annett’s car. The driver tried to keep going, but was soon trailing fluid and had to stop at the entrance to Turn 1. 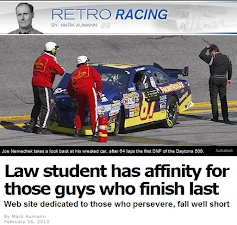 Annett climbed out, done for the day – and the Playoffs. Finishing 39th was Jeff Green, now a seven-time LASTCAR XFINITY Series champion, who exited with a vibration on the ensuing green-flag run. 38th fell to John Jackson’s MBM entry, out 12 laps after Green. Mullis finished 37th, the third car in a row to retire citing a vibration. Timmy Hill held 36th for a time after turning 55 laps, threatening to put three of the four MBM cars in the Bottom Five, but returned late in Stage 3 to climb out of the spot. Dropping to 36th in Hill’s place was Matt Tifft, whose #2 was collected in a grinding Turn 4 wreck with Ryan Reed. Taking the checkers was Ross Chastain, who after he was denied victory at Darlington, recovered in his very next start for Chip Ganassi. 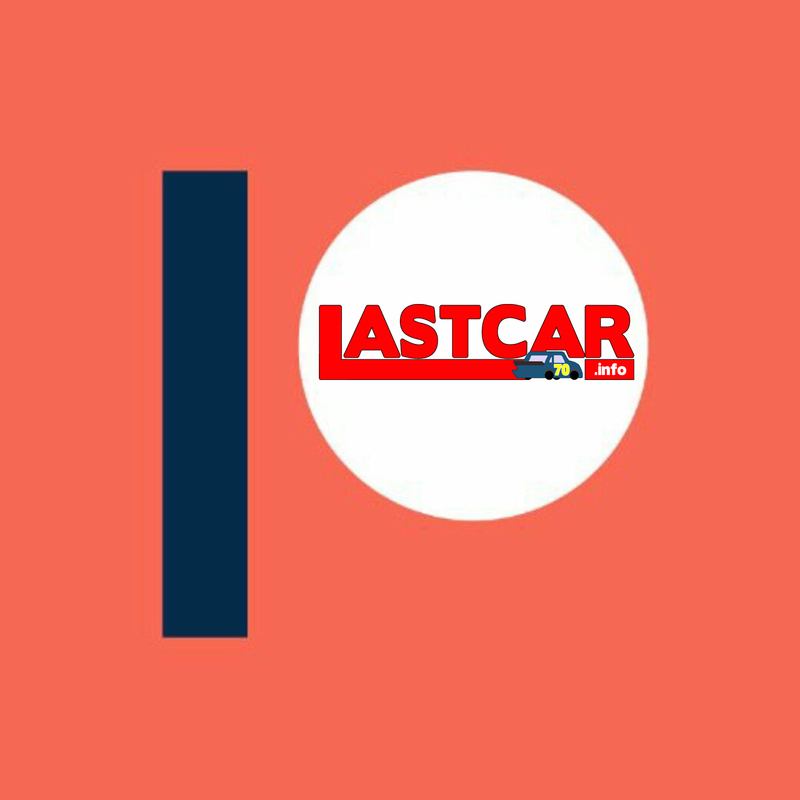 Chastain led 180 of 200 laps, winning both stages, and gapping Justin Allgaier by 1.629 seconds. It was Chastain’s 132nd series start and came in his fifth season on the tour. 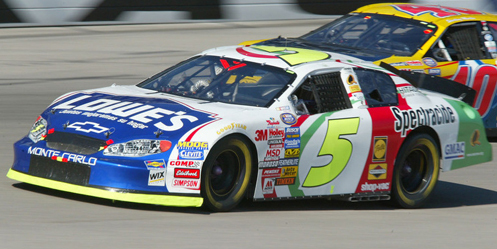 *This marked the first last-place finish for the #5 in an XFINITY Series race since November 5, 2005, when open-wheel star Adrian Fernandez took a turn with Hendrick Motorsports and scored his first last-place run in the O’Reilly Challenge at Texas, where he crashed out after 15 laps. That race was also the last time a Hendrick car finished last in an XFINITY Series race.